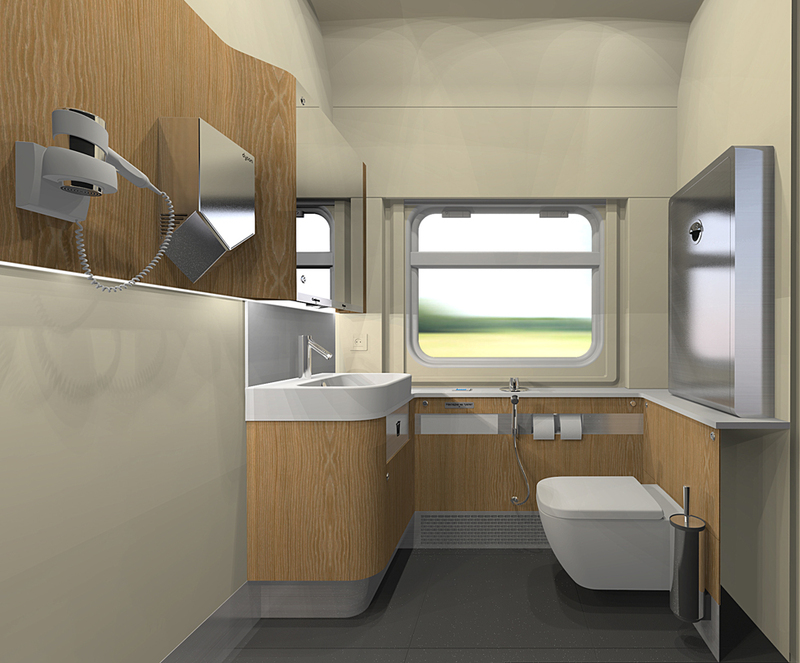 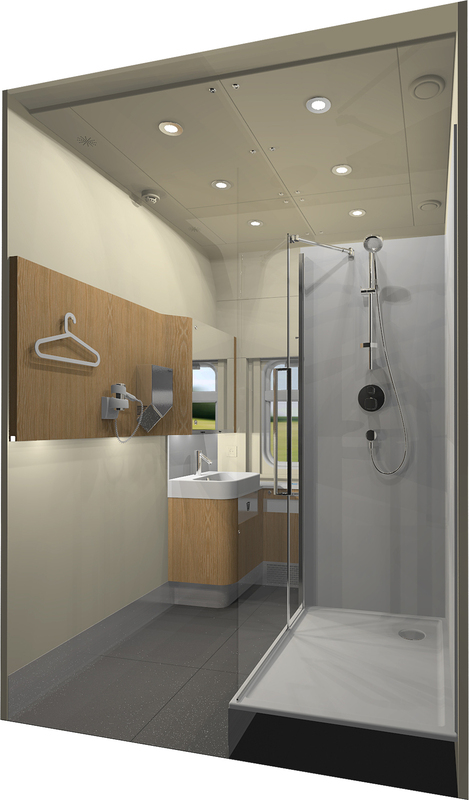 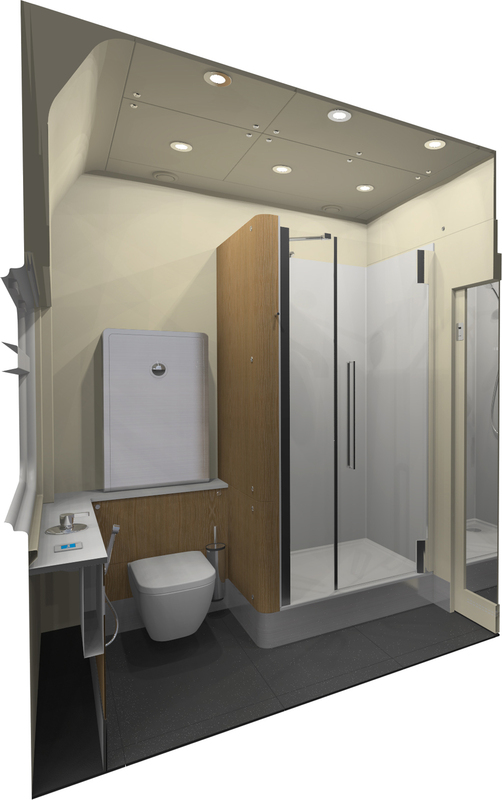 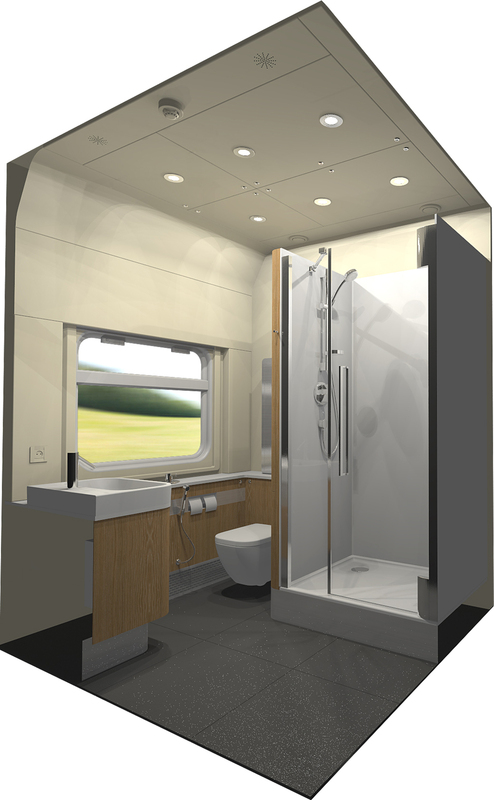 Ippiart Studio designed a shower compartment for business-class train cars of the "TransClassService" company. 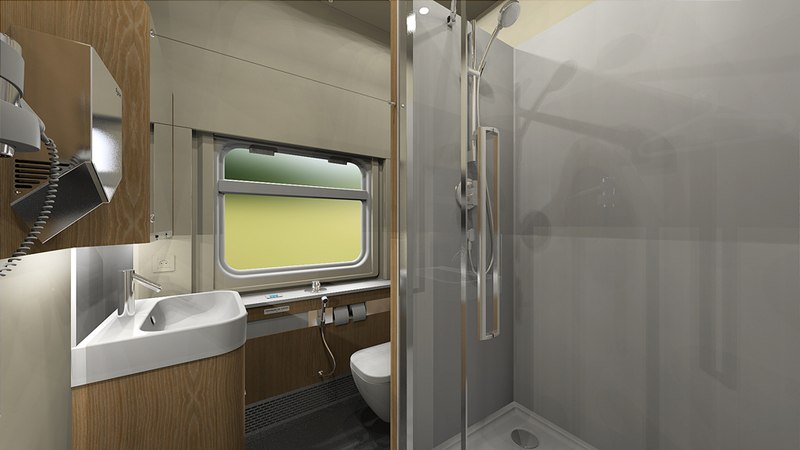 The shower room has an area of a standard coupe (about 4 m²) and equipped with a shower, a sink, a vacuum toilet, a changing table, a hair dryer, a hand dryer, automatic dispensers and other facilities. 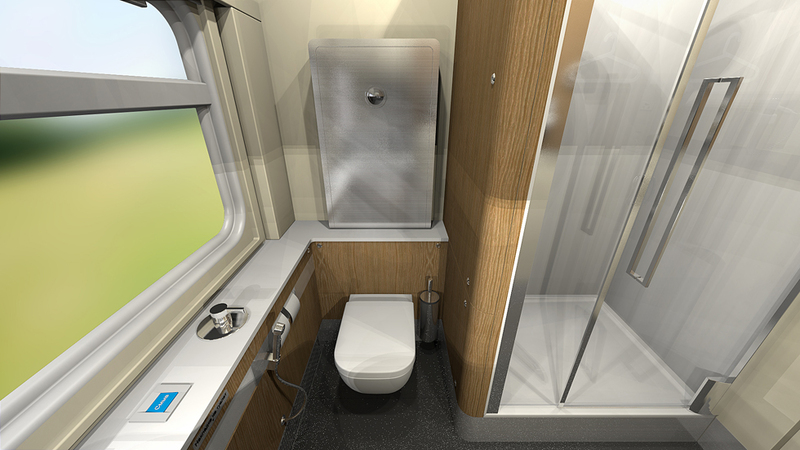 Changing table above the toilet. 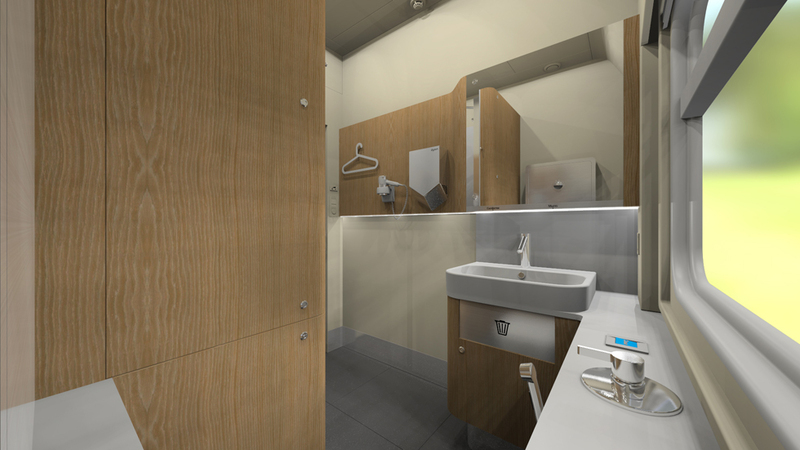 Location of automatic dispensers in the mirror cabinet. 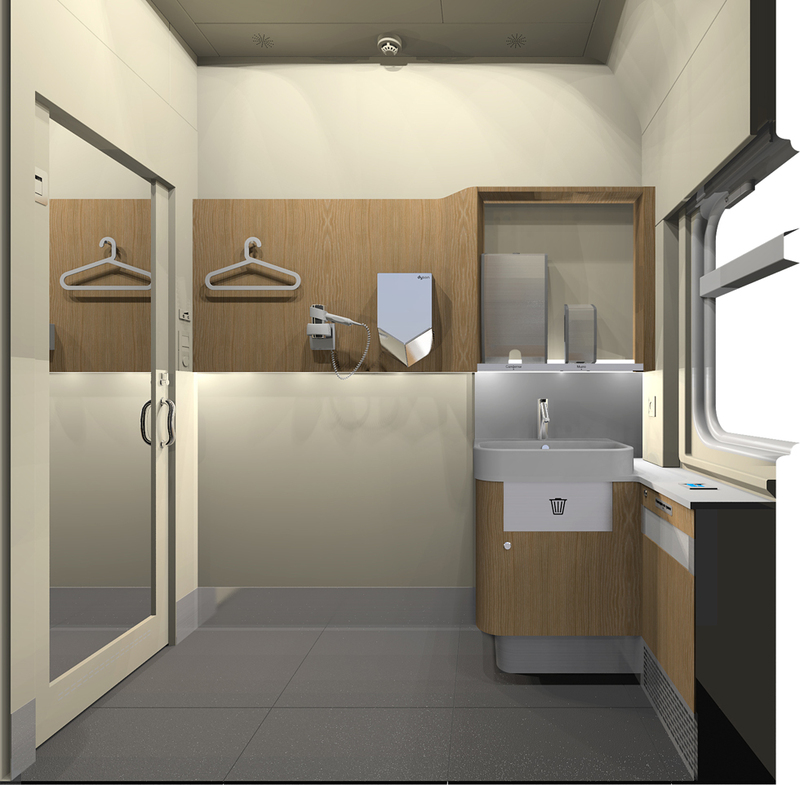 On the left is a dispenser for napkins, on the right is a soap dispenser.